It's a rare job that allows people to do well while doing good. I invite you to team up with me and see how easy it is to make $$ while doing something you love! Some of the links in the posts on this blog are “affiliate links.” This means if you click on the link and purchase the item, I will receive an affiliate commission (Thank you!) Regardless, I only recommend products or services I believe will add value to my readers. 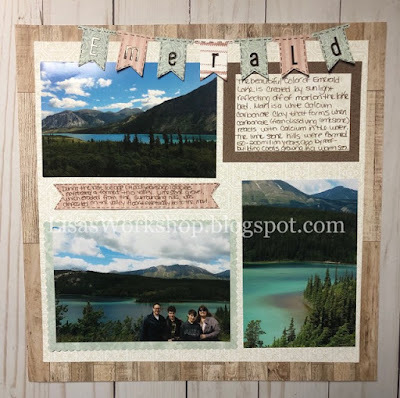 Welcome to Creative Life Scrapbooking's (CLS) 2019 Winter Blog Hop! Bundle up and grab something warm to drink as we share some fun ideas! 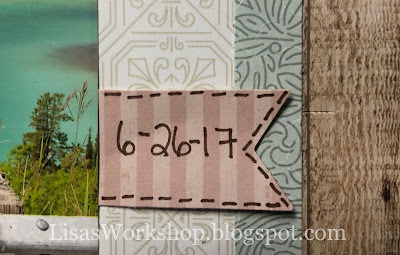 Today I’m sharing a layout using products from Creative Memories and featuring the Ever After Collection. Yes, this collection is designed for wedding photos BUT it has some absolutely gorgeous papers and elements that can be used for most any photos! CM Designers have wisely created most of the papers & mats so that they have a non-themed design on one side. 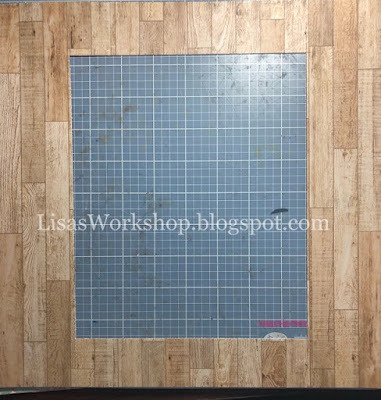 This paper with the wood pattern is my favorite and, being the frugal scrapper that I am, I cut out the center of the paper to use on another project. Once it's in my album no one will ever notice! I needed a banner shape just a little longer than the CM Banner Flag Punch created so I cut a strip of paper as wide as the banner and put only the bottom edge in the Punch. 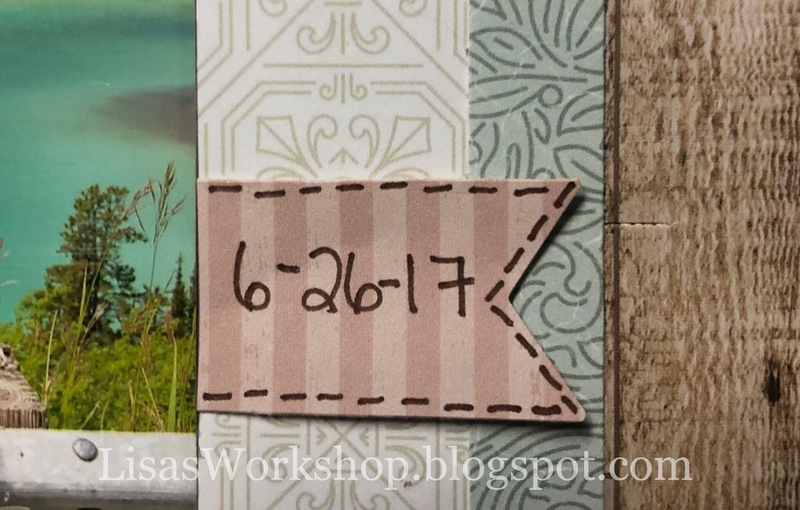 I also used this technique on both sides of a strip of paper to make the journaling strip on the left side of the layout. Using the fine point side of a CM Brown Dual Tip Pen, I added a little bit of pen stitching to the banners and journaling strips to help them stand out a bit. I hope these ideas have inspired you and I can’t wait to see your take on them! 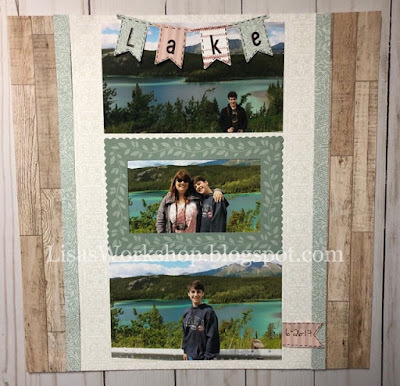 Please feel free to share what you’ve created in my Lisa’s Workshop Facebook group. Please contact your Creative Memories Advisor to purchase any Creative Memories products. If you don't already have a Creative Memories Advisor, I’m happy to help! or if you’d like to contact me directly you can do that by clicking on the “Email me” link at the top of this page. Bring on the holiday cheer! Starting at noon CT on Monday, you can get an abundance of scrapbooking goodness for FREE with one of two exclusive holiday bundles (up to a $120 value) on qualifying purchases. Substitutions will be made so order early to get the items you see below!! For orders of $100-$274.99, you can get a FREE Fa La La La La Bundle, which is packed with all sorts of exclusive, limited-edition products. Want even more delightful goodies? With every order of $275 or more, you can get a FREE Silver Bells Bundle that's jam-packed with exclusive, limited-edition gifts. It all starts Saturday, November 24, 10 a.m. - 11:59 p.m. CST. FREE SHIPPING!!! on all orders over $50. What have you been wishing for this year? Create a flurry of snowflakes with this crystalline accessory set. These delicate flakes add a whimsical blizzard to any of your layouts. You won't even have to get cold to play with this snow. This set will first be available on November 24th at 10 a.m. CST. And Remember, this set is Limited, so it's while supplies last. The Flurry Set is not just for Snowflakes! Play to Create and follow your inspiration. You can use Flurry for your layouts all year round! Flurry (1) pairs up perfectly with Tiny Accents (1T) or Tiny Springtime (6T). Flurry (3) layers so great with a number of flowers or would look great on boy layout paired with the stars in the Adventure Set! 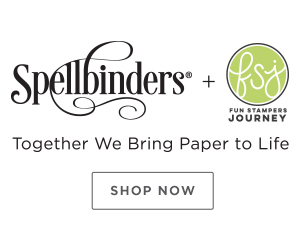 25% off your order when you use code 25OFF2018 at Shutterfly – Valid until 12/31! Stamp n Storage is having a great Black Friday Deal! I have several of their pieces and LOVE them! Be sure to sign up for their loyalty/rewards program! 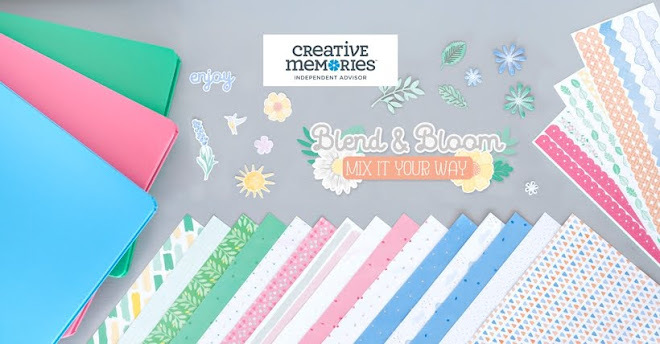 This piece is specifically designed for the Creative Memories Border Maker System. It is available in different sizes. See below for more options and view them online her. My FAVORITE trimmer at a fantastic price! Spend $50, get $20 digital. Valid 11/26. Exclusive Products up to 50% OFF! 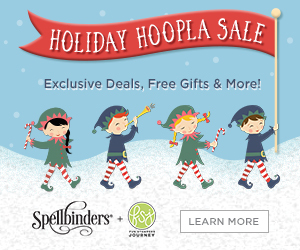 Stock up on Scrapbook.com Exclusive supplies and SAVE up to 50%! Whether you need to re-stock your supplies or try a new staple, this sale is for you! All the discounted prices are marked on the individual product pages. Hurry! These amazing deals expire on November 25th at midnight MST. See all deals/coupons by clicking here! Sunflower Studio – Coming Soon! After struggling with a lack of affordable locations to hold crops & workshops I've decided (with a little bit of a nudge and a lot of support from my husband, Rich) to buy a building! This space will not just be for my croppers - it's for others, too. I hope to rent the space for an affordable price. Affordability is my main goal as well is a functional/comfortable space. I hope to make it as easy as possible for CM Advisors, Kiwi Lane Instructors & others to hold their events at the studio, too. Check in to the Studios page on Facebook for updates and to share your thoughts about what you’d like to see happen at the Studio! A blank canvas – renovations starting soon!! 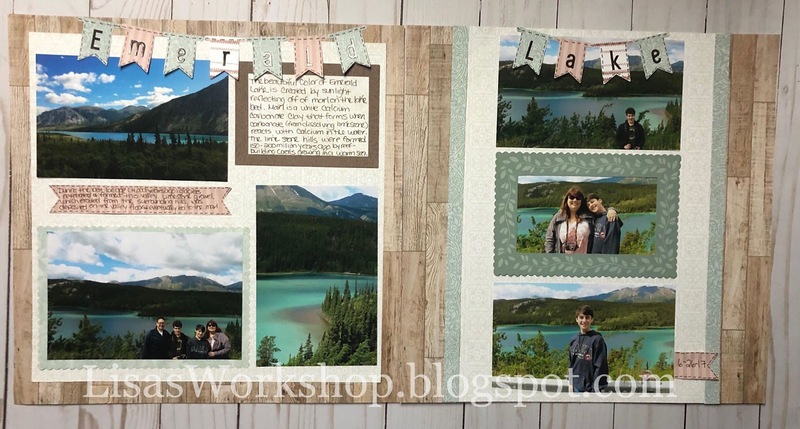 Welcome to Creative Life Scrapbooking's (CLS) Fall Blog Hop! Bundle up and grab something warm to drink as we celebrate fabulous fall! If you’re hopping in order, you’ve arrived from Fran’s blog. At the end of my post I’ll send you on your way to Noreen’s blog. Be sure to visit each stop – there are lots of wonderful ideas being shared! (More info, including the complete list of Blog Hop stops, is at the bottom of this post.) Today I’m sharing a fun little pumpkin made using products from Creative Memories and featuring the Pumpkin Spice Paper Pack. If you search Pinterest you’ll see all sorts of ways to make these, some pretty labor intensive but I think I’ve figured out how to make this rather quickly. I’m a lazy efficient scrapbooker! To make the pumpkin as shown above, cut 8 strips (I cut them 12” x 1”) from the Pumpkin Spice Paper Pack. Lay them out as shown below, adhering each strip to the one beneath it. Use the Repositionable Adhesive so you can easily adjust these if needed. The patterns facing up are the ones I’d like to have showing so this is actually going to be the outside of the pumpkin. Bring the edges to the center and repeat until all strips are adhered, making a pumpkin. Make adjustments as needed & don’t worry if they don’t meet up exactly. Add some leaves to the top of the pumpkin punched with the Maple Leaf Punch and a vine punched with the On the Vine Border Punch. 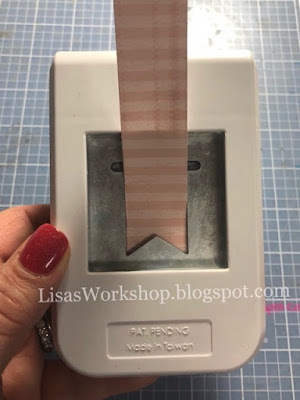 To make the stem, roll up a piece of brown patterned paper that is about 1” x 3”. use Repositionable Adhesive, especially on the end. I put a good bit of the Repositionable Adhesive on the top of the pumpkin and then pressed the stem onto that. It is stuck down pretty good! I wouldn’t lift the pumpkin by the stem but I don’t think it’s going anywhere! I hope this idea has inspired you and I can’t wait to see your take on it! 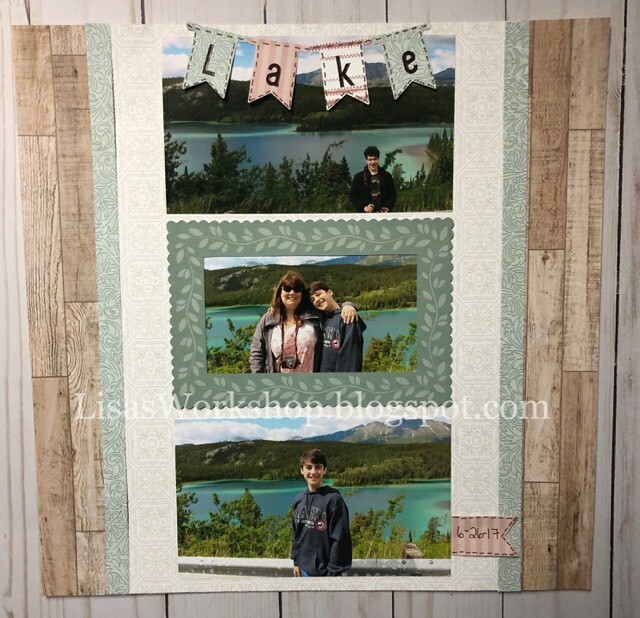 Please feel free to share what you’ve created in my Lisa’s Workshop Facebook group. 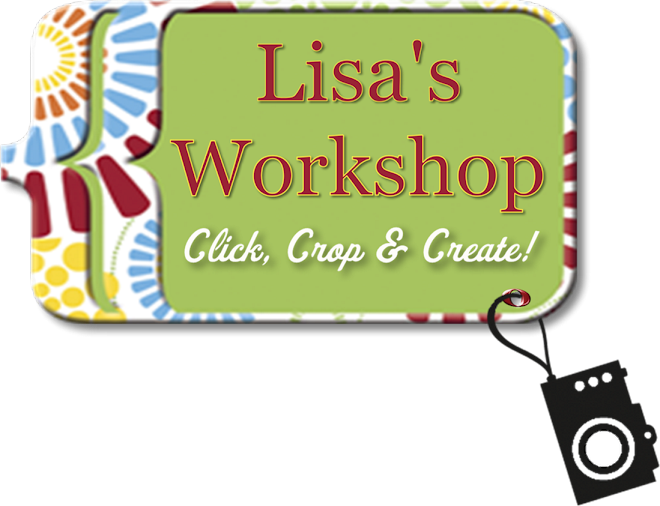 Lisa Graham at Lisa’s Workshop <---You are here! Please contact your Creative Memories Advisor to purchase Creative Memories products. Bookcloth Albums, Tools & More!! Welcome back, CM! Play to Create with Kiwi Lane! SnS has LOTS of wonderful storage options for your scrapbooking tools and stash! 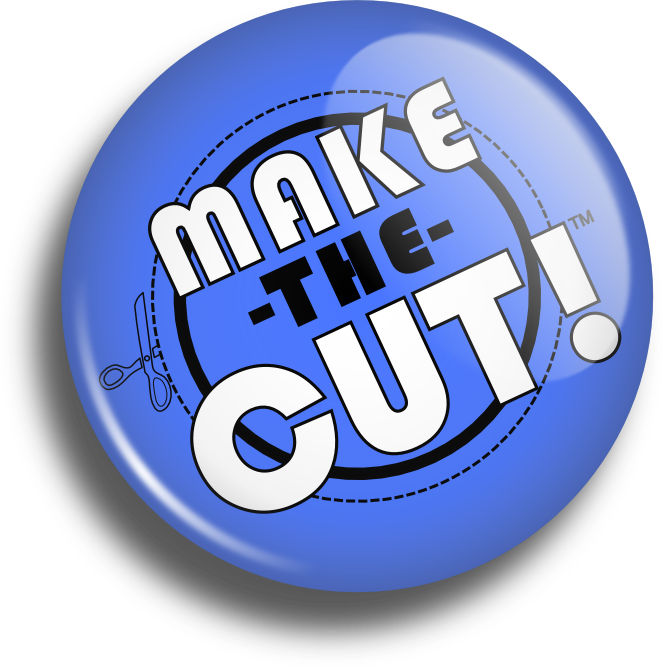 Make The Cut! allows you to easily cut virtually any shape you can imagine (including TrueType/OTF Fonts, SVGs and PDFs) using your personal cutting machine. With its easy-to-learn interface, the possibilities are endless! I love how easy these are to use! Frugal Folk - tips, coupons & deals to help save you money! 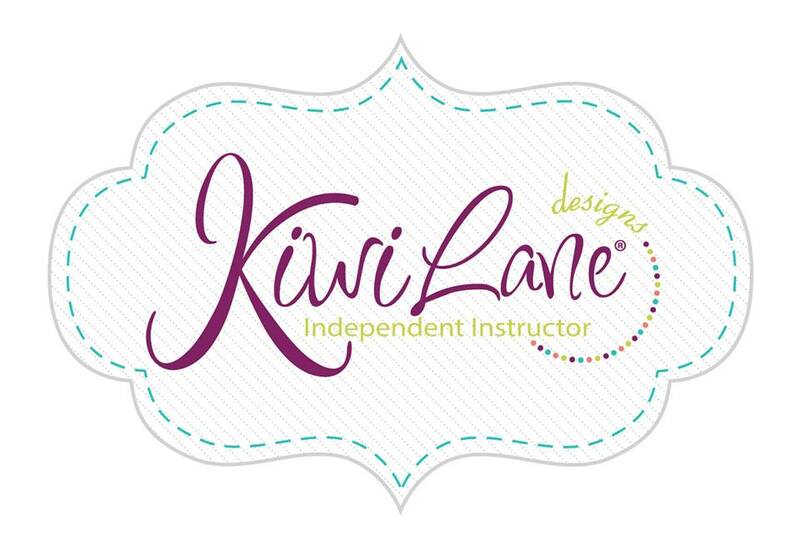 Kiwi Lane - Play to Create! Fun Stampers Journey - ideas & inspiration for scrapbookers, cardmakers & more!